Dr. Conrad Portanier is a Partner at GANADO Advocates and currently heads the Banking and Finance team within the firm. Conrad’s legal practice focuses on banking and financial law, as well as general commercial and corporate law. He acts for a number of major Maltese and international financial institutions and has considerable practical experience in structuring deals and advising on various aspects of commercial and financial law. Conrad is also responsible for the issuing of the firm’s industry legal opinions to a number of organisations including the International Swaps and Derivatives Association, Inc. (ISDA), the International Capital Market Association (ICMA), the Malta Bankers’ Association and the Central Bank of Malta. He has written a number of articles on financial services legislation in Malta and has participated in many Maltese legislative initiatives in connection with financial services legislation. 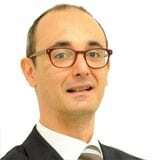 Dr. Portanier is also a Visiting Lecturer at the Faculty of Laws, University of Malta.